How Well Is Rural Maryland Doing? How do we know how well rural Maryland is doing? 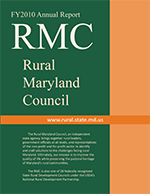 How do we know if rural Maryland is making progress in key areas of concern? To help answer those questions, at least in part, the RMC developed RuralStat, which went online in January 2010.